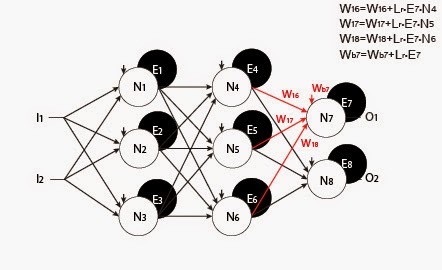 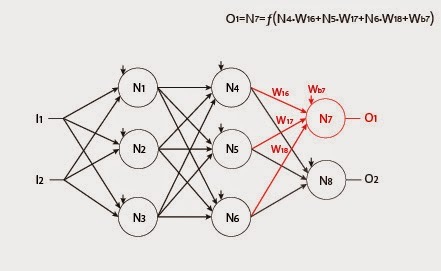 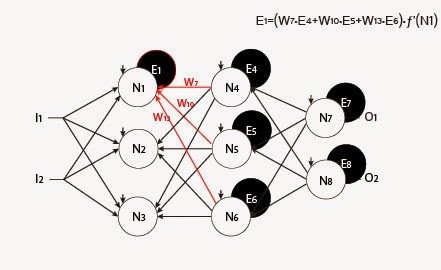 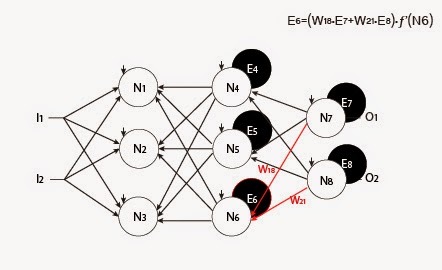 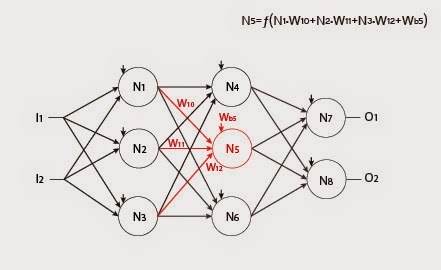 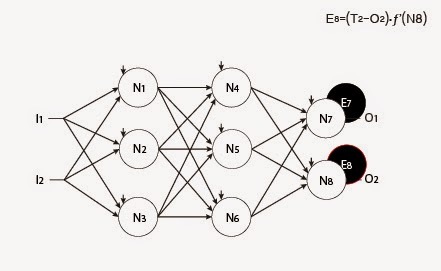 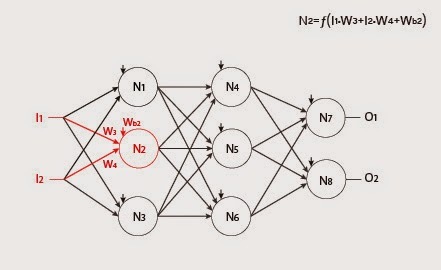 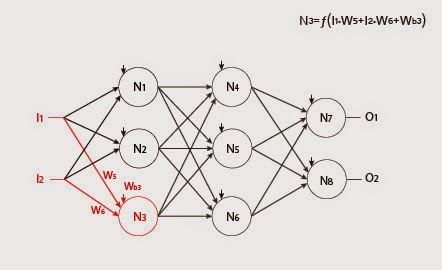 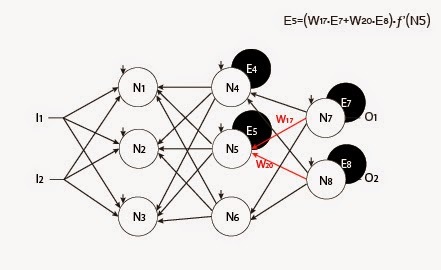 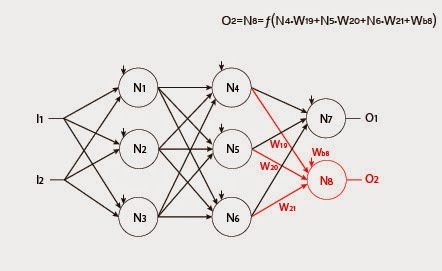 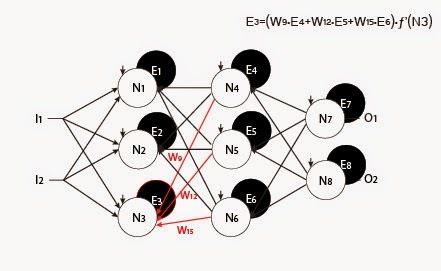 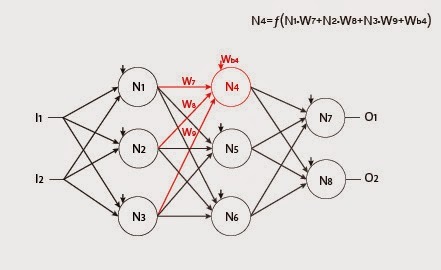 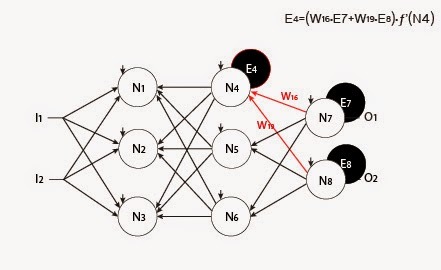 W=Current neurons input weights, initialized randomly between [-1, 1]. 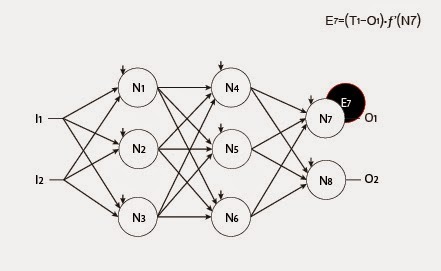 N=The output of the current neuron. 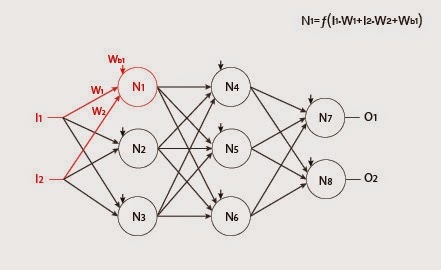 f’(N) is the derivative of the activation function, N is the Neurons previous output. Thank you! I've been struggling with trying to understand backpropagation for a while... your illustrations made it all clear to me. The term Lr on the last equations, where is coming from?